Gap Inc. is up nearly 6% today after hedge fund manager Eddie Lampert’s stake in the firm was revealed.Chairman of ESL Investments and Sears, Lampert now holds a 5.8% stake in the company, according to a new filing. 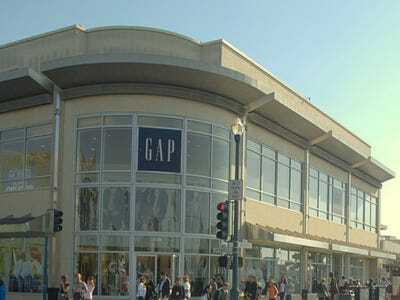 Gap topped analyst estimates for January same-store sales, too, rounding out a pretty good day for the firm. The company had posted same-store sales decline in seven of the past eight months, including an 8% dip in December but rebounded this month due in large part to its Banana Republic stores. Promotions and clearances also helped boost sales after December which was slowed down by terrible weather as well. It’s been a big month for Gap with Marka Hansen, the president of its North American division, exiting earlier this month after 24 years. The firm also expanded its e-commerce site into eight new European countries this month including Luxembourg, Malta and Slovakia.